"A good basic solution for large events and conferences"
I appreciate that the platform takes into account a variety of scenarios for events and is flexible. It's easy to use which allows other team members to help with setup and maintenance. It can be a tiny bit clunky to navigate between various parts of the management platform. Some information had to be sought out in different parts of the dashboard meaning it wasn't totally intuitive. As with any event-hosting app or service, It's important to give yourself lots of time to edit and make changes. Consider keeping all of the content in a database elsewhere so that the materials can simply be copied and pasted into the platform. It makes that material accessible in other spaces, too. Our organization is striving to provide our conference material on a digital platform because it allows us to make realtime updates and changes that wouldn't be possible after a guide or programme has been printed. 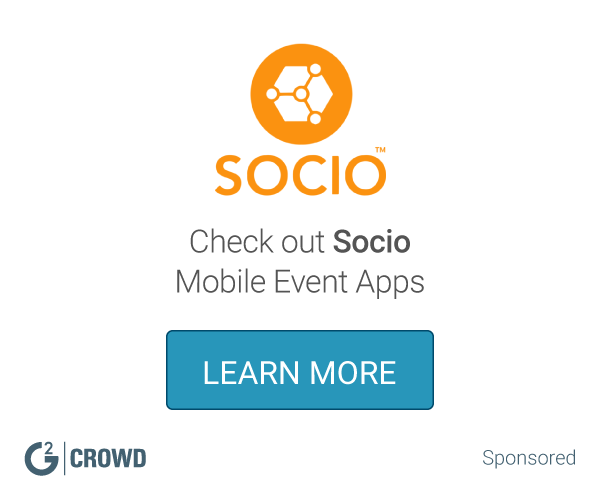 What Mobile Event Apps solution do you use? CrowdCompass by Cvent develops and delivers leading edge mobile device solutions for the global event and meeting market. Complex logistics and agenda made simple for busy attendees. And easy navigation, customizable sessions, and attendee feedback create a personable experience that attendees feel empowered over. Attendify is an event technology company that elevates the attendee experience with the easiest event app builder, an exclusive social lead retrieval tool and pioneering event data management solutions. SpotMe helps leading companies worldwide bring innovative engagement strategies to life through live events​, ​virtual meetings app, and perpetual engagement workspaces. Certain Touchpoint is your way of making meaningful connections with your attendees and gathering key data signals before, during and after an event. Leading provider of event technology solutions. Helping marketing and event professionals make smarter event decisions. Guidebook allows organizations to create mobile guides to their events and venues. * We monitor all Eventbase reviews to prevent fraudulent reviews and keep review quality high. We do not post reviews by company employees or direct competitors. Validated reviews require the user to submit a screenshot of the product containing their user ID, in order to verify a user is an actual user of the product. Hi there! Are you looking to implement a solution like Eventbase?